well, for starters..... a Merccrappies driver started it. so they know. buy both today? the 1uz will last longer. Well, the parts arrived. And I didn't want to be at work. So I called in some of my owed lift time at a local tire shop. And here they are: You can see the differences, and the similarities. - can be adjusted to OEM length. same mounting bolt sizes, only with more thread, which is a plus. one of the rods was broken in the fun and games at the Toyota Dealership. brought my excursion tool bag, and some tools. (forgot the 10mm, facepalm) This is the broken part before i removed it. you can see how it connects the sensor to the suspension arm. The new parts are not only adjustable, but if left loose, swivel too. a fully articulated actuator arm. with the rods set at low, and mounted at the lowest point available. the cat has got an inch and a half drop in the rear. now to adjust the front. air suspension is a funny thing. but not difficult. hopefully this has fixed my suspension. for $80. not $1,000. saved some money with this, and am happy with the result. good times. ask the tech to remove the gas. replace the part yourself (big job, but better not paid for) ask him to gas it for you. when you get into it, post some pics and questions. i will do my best to help. that's the most peculiar problem i have seen in a while. Relay? a few reasons, i had a similar issue with a Subaru. when the air flow sensor, and o2 sensor are not working right, the car can either "Lean out" causing detonation or fuel starvation, or can run rich, bogging it randomly. also check your plugs, sounds funny, but after running with bad sensors for a while, it ruins your plugs. replacing those, for good measure, and checking the fuel system is one angle i would start with, - the other being a replacement air flow sensor,o2 sensor, and throttle position sensor. first using an electrical circuit tester with a voltage meter to check for drops or climbs in values. one by one. essentially seeing when they work, and how. (find the faulty one, or 2) These engines are robust. however, the ecu can only run it with the information it gets. and i'd bet a punch in the arm, the ecu is getting the wrong information. and you have bad plugs as a result. the only issue a friend has had with the same engine, is the Throttle position sensor. his car would suddenly drop out on him. fixed it, and has had no issues since. so go back to basics, -spark,fuel, ecu inputs. haha, might as well do a service while you are doing all this. my own car is starting to act up. our issues could be mirrored. so i have a vested interest in this topic. keen to know what you find. voting throttle position sensor, or air flow meter/02 combo. Tell me you wouldn't buy this car, for a fair price, and give it all it needs. . . .
welcome. The car party is here. need help? post it up. Welcome. you are right. the pinnacle of Engineering for the time. and unfortunately, companies no longer push the limits. 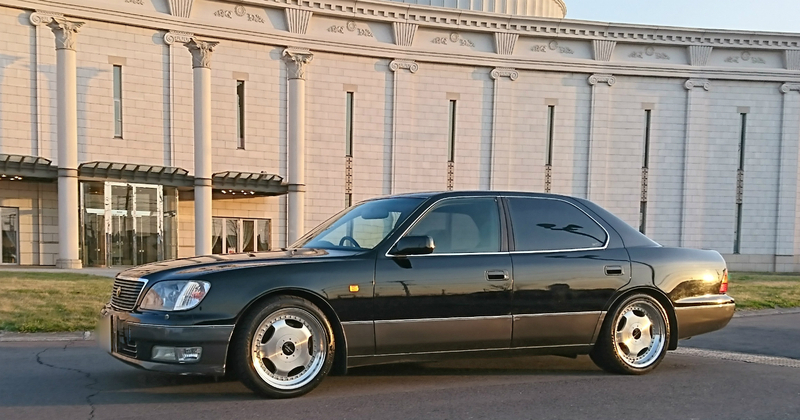 so the LS400 is special. -it is to luxury sedans what the NSX is to mid engine sports cars. glad to see you are proud of your car. enjoy it. * remove the seat side trunk lining. condensation can build on the tank. re: cold fuel, warm air. worth a check. the dash? LED kits are available. bit of a faff. but can be done. or slap the dash and see it that works. (stale connections) Stereo? buy a head unit, the correct adapter for your loom. and redo it. here for anything you need to discuss to work out issues. as we might have the same. oh. pics? Hi there Jeremy. I reached out to an expert in the field for you. here is his answer to your question. Dude needs to add capacitors. He probably pounds the subs. They are drawing too much current to satisfy all of his power-hungry components. In addition, adding another yellow top to the back would help shoulder the load. And the closer the stiffening caps are located to the sub amps, the better. Hope this helps. many companies offer aftermarket solutions. not sure what is close to you. but look into "Superpro" bushings on ebay. they make almost any bushing you could ask for. an email directly should get your needs sorted. Thank you sir. wait until it meets my satisfaction. .
i'm going to just come in and tell you all that you are wrong. Each car should be judged on its merits and faults. with all the information available. granted, a thorough inspection is also of equal importance. Including service and registration history, service intervals, and comprehensive mechanical inspection. - A low kilometer car can still be driven often enough to keep it fresh. having tires/filters/fluids changed as per usual. These are the cars to find. however. they might suffer from sun fade, spiders,corrosion, and bad seals (including doors and trunk) if left by the wayside. -A high kilometer car can be maintained to an impeccable standard. and will still need attention. like drivers seat wear. and parts that tend to wear out with use. (brakes,clutch,etc) even drive shafts and suspension. No matter what car you buy. it will need something. any car guy worth their License will: Change the oil,coolant,plugs,filters,trans oil,diff oil,brake pads,brake fluid,check the light bulbs,detail inside and out. - on ANY car they buy. factoring in the cost to do so. regardless of the car, and the results of your pre-purchase inspection. A well preserved example of a car. using this way of thinking, can present with the better buy. having fresh interiors, and less body damage, including rust. the more used car, having it's own benefits, will often need paint correction, and interior parts replaced. how do i know this? apart from being a wrench. i have purchased 2 cars in the last 3 months. at opposite ends of the spectrum. judging each car as an individual. case 1. - the low mile car. a Subaru Forester St/B Sti. 2001, 27,000 kilometers physically? interior smells like a new car. engine bay had never been cleaned.zero rust. all i had to do was polish the lights and change the bulbs. after purchase servicing will have this performing like the new car it really is. Case 2: the high kilometer car. a 1997 Toyota Celsior (LS400) 144,000 kilometers. it has service history, inspection was good,has no rust. but? it will need a complete respray. due to years of parking lot dings, a previous bad detail,and a mismatched rear door respray. needs a front bumper, and a trunklid/trunk seal. had an issue with the suspension that was a cheap fix.and the interior needs some stuff sorted out. A handsome car. with plenty of life left in it. but the wear and tear is obvious. i would have paid double for this car with half the wear and tear on it. without flinching. i am happy with it. and will enjoy the repair work. - if you are not a wrench? i recommend the low mile car. or at least know what a car's faults are. and decide on what imperfections you can live with. Cars, new or used, will ALWAYS cost money to meet your satisfaction. unless you buy somebody's personal car fully sorted. (Rare) be diligent. be educated in your purchase. prepare for what it needs. the car for sale in this thread? i would buy it. knowing it needs 1.5k of maintenance after purchase. a stellar example of the breed. if the seller understands this, and wants it to go to a good home, for a fair price? a great buy. -Dave the Wrench.